The Acer Aspire 5s is the Taiwanese notebook maker’s first laptop in India with the latest Intel Whiskey Lake processors. 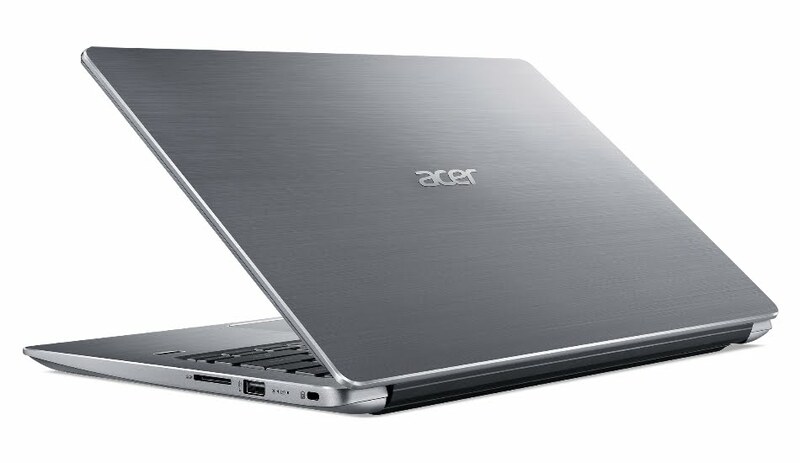 The acer Aspire 5s has a sleek and lightweight aluminium design and can be laid flat at 180 degrees. The Acer Aspire 5 with Intel Whiskey Lake processors has been priced at Rs. 40,999. The Acer sports a 15.6-inch full-HD (1080×1920 pixels) IPS display with “ultra narrow” bezels, Acer BluelightShield technology, and Acer Color Intelligence. The notebook is powered by the latest Intel Whiskey Lake 8th Generation Core i3 and Core i5 (U series) processors, coupled with Nvidia GeForce MX150 graphics and Intel Optane memory. In terms of connectivity, the Aspire 5s gets 2X2 MIMO Wi-Fi 802.11ac. There is a Precision Touchpad for smoother navigation. It weighs about 1.8kg. The device offers 12 hours of battery life and dual stereo speakers which is supported by Dolby Atmos and Acer TrueHarmony technology. Supporting Windows Hello through fingerprint readers for fast and secure logins, while Skype for Business certification ensures crisp and lag-free communication and a great Cortana with Voice experience. This laptop has the proprietary TrueHarmony technology and optimized Dolby Audio to deliver an enhanced audio experience. The laptop comes with Precision Touchpad for smooth navigation and includes 2×2 MIMO 802.11ac under its connectivity suite.